The purpose of this guide is to offer advice to organisations who provide passenger transport without a view to profit; to explain the rules governing the permit system; and to assist those who wish to apply for permits issued under Section 19 or Section 22 of the Transport Act 1985. The guide is only intended for general help; it is not a legal document and does not provide a definitive interpretation of the legislation. Only the Courts can do that. The relevant legislation is to be found in sections 18 to 23A of the Transport Act 1985. Further requirements and conditions are prescribed in the Section 19 Permit Regulations 2009 (S.I. 2009/365) and the Community Bus Regulations 2009 (S.I. 2009/366). Copies of the Regulations can be obtained from the Office of Public Sector Information, www.opsi.gov.uk. TAKE NOTE: If you are using a vehicle for hire or reward without either a valid PSV operator’s licence or permit you could be liable to prosecution and have your vehicle impounded. This guide is intended to help you to establish whether you are entitled to a permit. 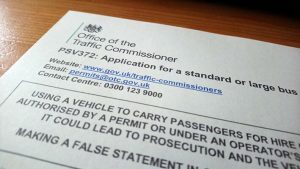 Ordinarily, any organisation operating in Great Britain (GB) that accepts any sort of payment for providing transport to passengers must hold either a public service vehicle (PSV) operator’s licence issued by the relevant traffic commissioner or a private hire vehicle licence issued by a local authority. In most cases, drivers of PSVs will also require a passenger carrying vehicle (PCV) entitlement on their driving licence. Under section 19 and section 22 of the Transport Act 1985 organisations who operate in GB without a view to profit can obtain a permit exempting them from the need to hold a PSV operator’s licence when providing transport for a charge. 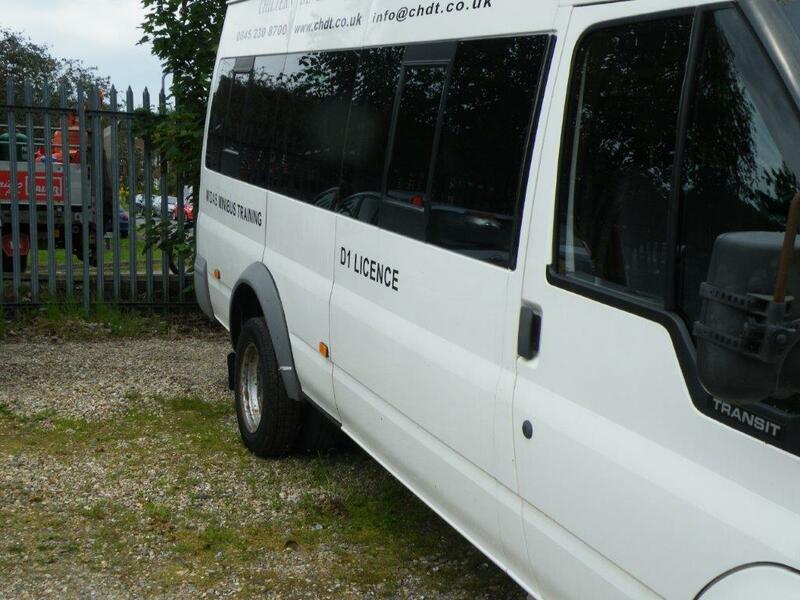 Under specified conditions, the drivers of certain vehicles are exempt from the need to have PCV entitlement on their driving licence. There are two types of permits issued under the Transport Act 1985. Those issued under section 22 (community bus permits). A vehicle being used under a permit must not be used with a view to profit nor incidentally to an activity which is itself carried on for profit. A charity would normally be considered to be a not for profit making organisation. The legal term for this is ‘hire or reward‘. It is any payment, in cash or kind, which gives a person the right to be carried on the vehicle, regardless of whether or not that right is exercised. Hire or reward takes place if the journey is organised in a way that goes beyond the bounds of mere social kindness. The payment may be made by the passenger or on the passenger’s behalf. It may be a direct payment e.g. a fare or an indirect payment such as a membership subscription. Where indirect payments are made in respect of other services (rather than specifically for the transport) they are still likely to be viewed by the courts as hire or reward because anyone who had not made the payment would have no right to be carried. The courts have taken a broad view of what constitutes “hire or reward”, and may consider indirect payments to be hire or reward. If you are in any doubt over whether your organisation operates vehicles for hire or reward you should seek further advice. you inform VOSA or the designated body who issued your permit of any changes such as the change of name of your organisation, as this would mean that your permit needs to be replaced. The vehicle‘s driver must hold the appropriate category of entitlement on their driving licence. Who can apply for a Section 19 permit? Other activities of benefit to the community. How many permits may I apply for? This will depend on how many vehicles you will be using at any one time. Each vehicle in use, that is carrying passengers for hire or reward, must be used under a permit and the corresponding disc must be displayed in the windscreen. For example, if you want to operate three vehicles at the same time, you must have three permits. The responsibility of driving a permit vehicle is one which should only be undertaken after careful consideration and proper training. Driving a minibus requires additional skills in order to be able to handle the vehicle safely; it is not simply like driving a large car.